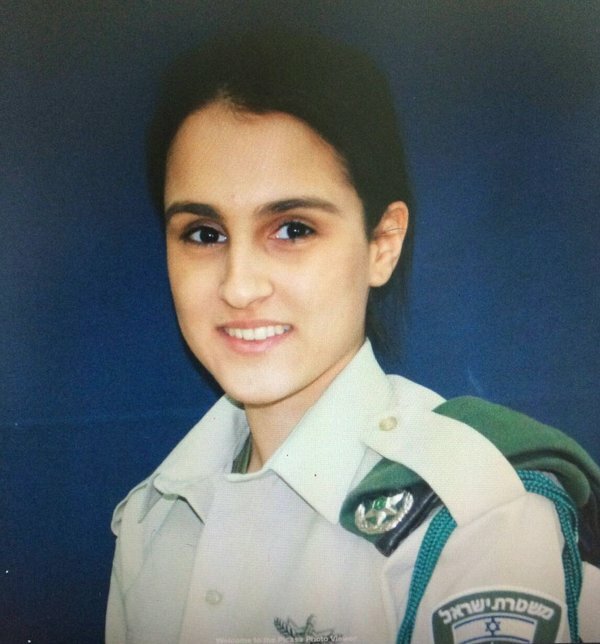 Border Police officer Hadar Cohen, 19, was killed in a terror attack at Damascus Gate outside of Jerusalem's Old City on February 3, 2016. (from HonestReporting.com) — Wednesday afternoon, Jerusalem. The Damascus Gate, one of the main entrances to Jerusalem’s Old City, a place where crowds of people come every day to work, shop, live and pray. Three Palestinian terrorists approached the Old City, carrying hidden knives, automatic weapons and explosives. When police officers questioned the men about their suspicious behavior, the Palestinians took out the hidden weapons, opened fire and began stabbing. Police officers returned fire, killing all three assailants, averting a potentially enormous massacre. One police officer was injured and another killed: 19 year old Hadar Cohen. How does news media usually report attacks of this sort around the world? After the Islamic State-related attacks in Paris and San Bernardino, every headline we found focused primarily on the attacks, the victims, and in some cases the courageous work of the police, firefighters and military. We did not find any headlines that focused primarily on the death of the attackers. How does the usual media coverage compare with reports on last week’s attack against Israelis? Over and over we saw the phrase, “Palestinians killed” or “Israeli police shoot Palestinians” even though the Palestinians in question were, in fact, attackers. Some headlines did not mention the terror attack at all, such as the initial CBS headline. However, even when headlines did mention the attack, many emphasized first and foremost that Israeli police had killed three Palestinians. This stands in stark contrast to the way similar events are covered all over the world. Imagine a 9/11 headline stating, “Fifteen Saudi men killed in America…” or a Paris headline saying, “Middle Eastern men killed by French Police…” In this kind of situation, where people are under attack, a headline that emphasizes the death of the terrorists is misleading to the point of offensive. And yet the above examples are only a few of the many disturbingly inaccurate headlines covering last week’s attack. Further, most articles incorrectly claimed that the attackers were shot after their attack, when in fact they were shot during their attack. News sources are capable of writing an accurate headline about a terror attack, but for some reason, when it comes to Israel many choose not to. 1. What types of bias does the HonestReporting post illustrate? 2. Headlines can greatly influence readers’ opinions about the news. The importance of an accurate headline is that most people don’t read every word of every article; they often just skim the headlines. Therefore, those who read just a headline are not accurately informed when the headline misrepresents the story. Why do you think the media post misleading headlines on articles about a terrorist attack on Israelis? Explain your answer. 1. The post illustrates bias by spin.